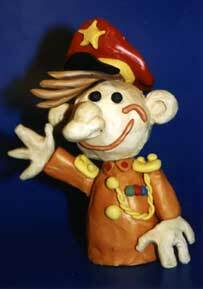 General Clay Productions has been producing three-dimensional comic figurines for the past 10 years covering all imaginable purposes. Everything from a simple clay model to limited editions of up to a 100 resin casts is handmade. Apart from the examples shown here the company is also involved in clay animation and special effects model-making.